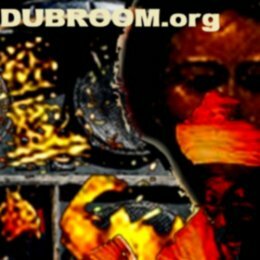 This is the Dubroom: An independent, visitor supported website promoting (DUB) Reggae and Consciousness serving 10,000's of people on a monthly basis. Our NETLABEL releases music from the Dubroom Studio and that of others and our WEBSTORE has some interesting releases too. We also have tons of REVIEWS on MP3's, VIDEO's, ALBUMS, BOOKS, WEBSITES, and MORE. Especially for the (online) artists, there is an artists-only STUDIO. From the pre-mp3 times and still interesting is our MIDI ARCHIVES and you should know about our large ARCHIVE OF CREATIVE COMMONS released music. Additionally, we have several research and information websites on BABYLON, CHRISTIANITY, and RASTAFARI. Also check out our ARTICLES and get in touch with other visitors on our MESSAGE BOARD. Or stay up-to-date by subscribing to one or more of our MAILING LISTS. Find all Dubroom Features at our SITE MAP. When something is unclear, you can always check our FAQ or use the search engine to find what you're looking for. And of course, you can always CONTACT us through our secure servers. The Dubroom is a rather large website with contents that stands the test of time, like free and legal MP3's released under Creative Commons or through our Net Label which you can download straight from the Dubroom. Also there's interesting stuff from producers of the music that we all love so much. And then there is DUBROOM.org online, featuring the latest ten publications from the Dubroom. This can be anything from a review to a release, from an article to an update, from an interesting download to an interesting video stream. 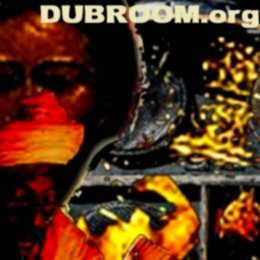 You can also subscribe to DUBROOM.org Online an stay up-to-date with every more or less important addition to the website. Our Net Label is the main outlet for the original Dubroom Studio productions, but it doesn't stop there. We have over 500 different tracks available, ranging from High Quality instrumental Reggae to Electronic Dub-driven sounds, from Roots Reggae to Rub A Dub. You'll find names like Alpha and Omega, Prince Fatty, Dubcreator and of course Dubroom Household names like the Original Jah Roots Band, Heartical and Sure Dread. Included is an enormous catalogue of Creative Commons released material that you can share or use as back ground music for your non-commercial video projects. 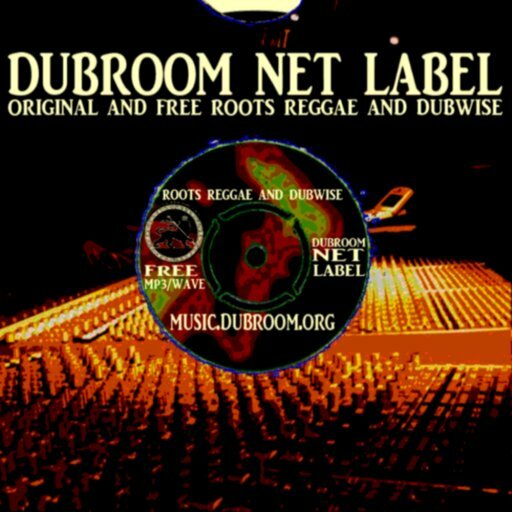 One of the most important parts of the Dubroom: mp3.dubroom.org, your one-stop for free and legal (DUB) Reggae MP3's. Sure, there is more than enough uninteresting material out there and that is why everything on this website is hand-picked and reviewed to serve the Online (DUB) Reggae Community with some of the best material out there. Completely in the vibe of the Dubroom, we only review material that is actually worthwhile. Browse by Albums, Single Tracks or Podcast. Some music can be downloaded straight from the Dubroom server, like music released through Creative Commons (CC) and/or because we obtained permission. A well-visited section of the Dubroom, Studio Dubroom provides information, downloads and much more for both the novice as well as the veteran in the the production of (DUB) Reggae Music. From a detailed description how to build a hand drum to the continual "Making Dub With Computers tutorial by the Dubroom Webmaster, from huge free and legal sample packs to interesting links and tips. Even when you're not actively involved in the production of the music we all love so much, you might want to take a look and find out some of the stuff people work on to get that crucial sound in your ears. In a way, this is where it all started back in 1997. That's about the time Messian Dread started releasing his music online through the -then popular- MIDI Format. The format has since gone back to the studio, especially with the introduction of the MP3 Format and faster Internet. Still, the MIDI Archives serve a purpose, as it is visited daily by people looking for, well, looking for MIDI. Whether you're a producer looking for chords or other inspirational things, a historian looking for ancient online music, or simply like a little bit of nostalgia, check out the Midi Archives. Especially since all releases have been put into the Creative Commons domain at August 16, 2014. Last, but definitely not least: Read our words of wisdom for the seeker of redemption. When you seek redemption, that is. On what could be considered the most important page of all thousands of pages on this website, you can find an explanation of and introduction to the (eternal) life offered to each and every one by the Creator Himself. Do not go to this section looking for arguments, political correctness, or any other reason but a simple hunger and thirst for the pure untainted grace and redemption that Yesus Kristos has to offer.